"We are being exposed to blue light continuously, and the eye's cornea and lens cannot block or reflect it," Dr. Ajith Karunarathne, assistant professor in the UT Department of Chemistry and Biochemistry, said. "It's no secret that blue light harms our vision by damaging the eye's retina. Our experiments explain how this happens, and we hope this leads to therapies that slow macular degeneration, such as a new kind of eye drop." Macular degeneration, an incurable eye disease that results in significant vision loss starting on average in a person's 50s or 60s, is the death of photoreceptor cells in the retina. Those cells need molecules called retinal to sense light and trigger a cascade of signaling to the brain. 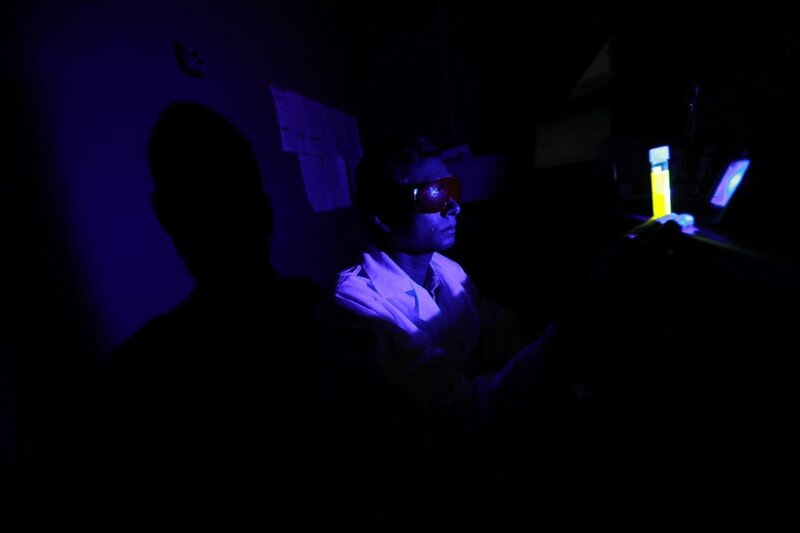 Karunarathne's lab found that blue light exposure causes retinal to trigger reactions that generate poisonous chemical molecules in photoreceptor cells. "It's toxic. 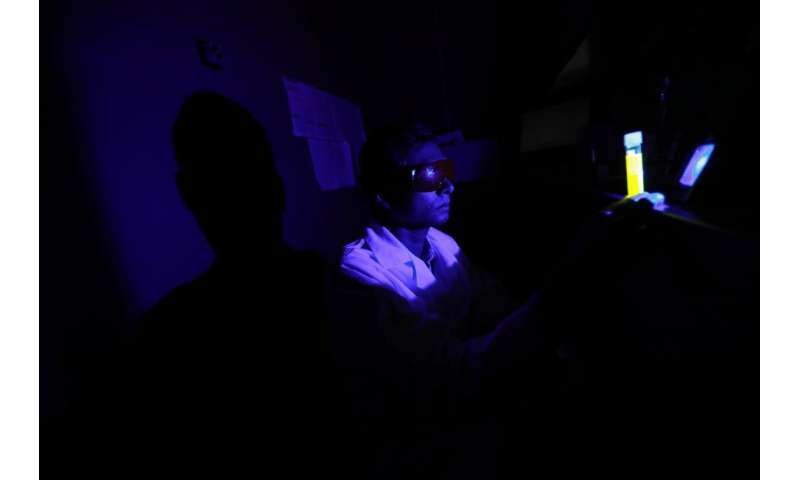 If you shine blue light on retinal, the retinal kills photoreceptor cells as the signaling molecule on the membrane dissolves," Kasun Ratnayake, a Ph.D. student researcher working in Karunarathne's cellular photo chemistry group, said. "Photoreceptor cells do not regenerate in the eye. When they're dead, they're dead for good." The researcher found that a molecule called alpha tocoferol, a Vitamin E derivative and a natural antioxidant in the eye and body, stops the cells from dying. However, as a person ages or the immune system is suppressed, people lose the ability to fight against the attack by retinal and blue light. "That is when the real damage occurs," Karunarathne said.The lab currently is measuring light coming from television, cell phone and tablet screens to get a better understanding of how the cells in the eyes respond to everyday blue light exposure. "If you look at the amount of light coming out of your cell phone, it's not great but it seems tolerable," Dr. John Payton, visiting assistant professor in the UT Department of Chemistry and Biochemistry, said. "Some cell phone companies are adding blue-light filters to the screens, and I think that is a good idea." To protect your eyes from blue light, Karunarathne advises to wear sunglasses that can filter both UV and blue light outside and avoid looking at your cell phones or tablets in the dark.